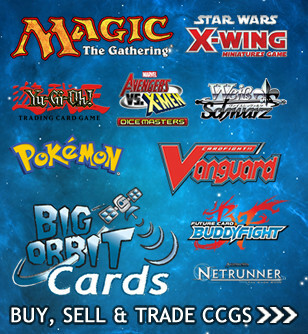 Big Orbit Games have both a tournament and an online retail / trading presence in the form of our sister site Big Orbit Cards. 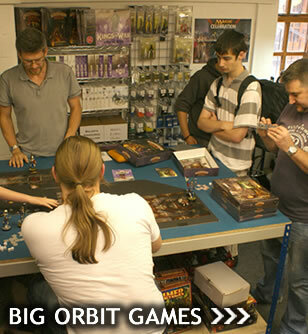 At our tournament centres in Evesham, Worcestershire, and Shrewsbury, Shropshire, UK, we focus on providing a spacious, clean, and bright playing area that creates a comfortable environment for gamers to enjoy their hobby in. 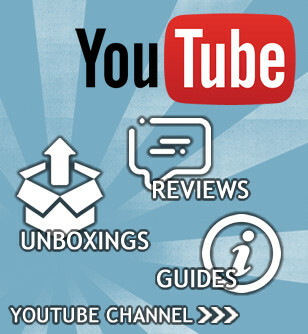 Online we specialise in selling and also buying / trading individual cards and game parts using our bespoke trading application.